Ok so perhaps its not our very next stop but I wanted to get as many suggestions as possible up front. Lay it on me. 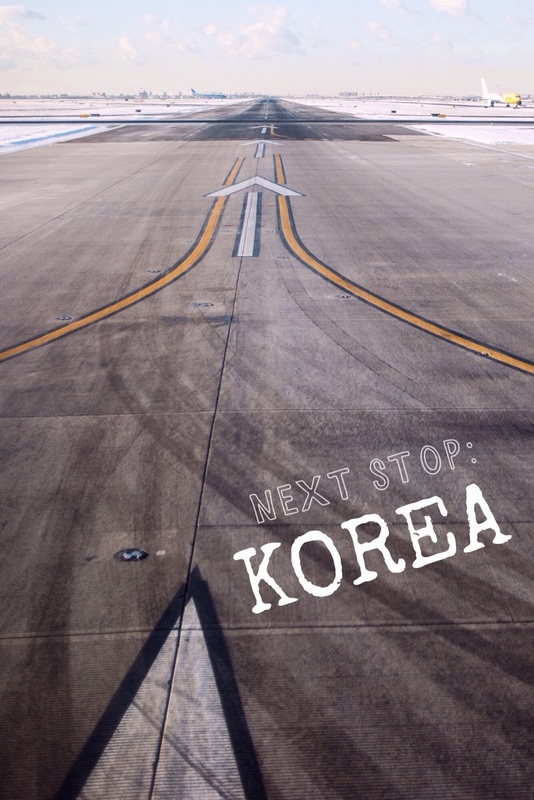 What are the must do, must eat, must see in Seoul? What should I make a priority/avoid with a toddler in tow? As you can tell, we have been sticking with closer/more familiar locales up until now because of our (completely unnecessary) trepidation of traveling with baby. Now that the window of our ability to fly with her without purchasing a separate ticket is dwindling, our courage is growing. We had to do at least one far flung destination where we could get her there without a huge additional expense. I still have my concerns but I'm very excited to have a whole new spot to explore on the agenda this year. Definitely go to Jeju island and stay in one of those oceanfront villa overnight. Thanks. Jeju looks lovely but im debating whether we want to do any more traveling once we get there. If it were just us I would definitely go but the thought of doing more flights kind of scares me off. What do you think? Our friends in Seoul booked a private bus tour for us, so the bus picked us up from our hotel in Seoul and took us to the ferry to Jeju. It was stress-free for us. With a toddler it can be completely different but a bus tour might be a less stressful option. Once you get there it will be completely worthwhile. We took our kiddos (1 and 3 y/o) this past fall. Because of the time difference, they passed out each day around 4pm, which allowed us to strap them on our backs and check out the nightlife. I recommend Kyungbok palace, Insa dong (traditional korean area), night life in myungdong, shopping in dongdae moon, a DMZ tour, and a couple hours at Lotte world for your daughter (they have a toddler area). I recommend taking an umbrella stroller over a big stroller just because it can be crowded in places. Thanks! Can you share what DMZ tour you took? The ones that were recommended to me seem to be restricted to the over 12 crowd. Would love to see more photos/hear more details if you have it to share. Bogenusa temple is a beautiful Buddhist temple and it is across from the CoEx center for shopping and an aquarium nearby. There is a subway stop there too. Namdaemun market is a huge outdoor market (clothing, food, housewares, etc.) It has lots of entrances and exits so you just need to remember your way or have your map but it is well worth it. It can be crowded so maybe not on a weekend. We were there one time during the Lantern Festival in November. It was fun to walk along Cheonggyecheon stream. It's a stream and waterfalls, man-made below street level. With all the lanterns is was lovely. Lots of coffee shops everywhere. Koreans love their coffee. Even Starbucks tasted a million times better there. I had a surprisingly delicious sweet potato latte at a local chain called Holly's Coffee! You might want to have a hanbok (traditional dress) made for Agatha. King Sejong Museum (it's underground where his statue is located at Gwanghwamun Square, across from the Sejong Center for Performing Arts). The subway stop is right there. He was quite progressive and forward thinking. The Lee-um Museum has traditional Korean and contemporary art. I think they have a children's section, also. It's worth a visit to either Shinsegae, Hyundai or Lotte department stores. My vote would be for Shinsegae. My husband did a private concert there for very high end customers. Yes, they have a 350 seat concert hall inside the store with a Hamburg Steinway that he would have killed to take home on the plane. It is like the Harrod's of Korea. Food is everywhere. Lots of great Korean BBQ, kimchi, bibimbap, pancheon, etc. Many other cities throughout Korea to see. Busan is at the southern end of Korea. We flew but should be accessible by train. Beach and aquarium there. Jeju Island only if you can manage it. Might be too tough with a little one. We flew out of Gimpo Airport. Our weather in May was cold and damp there. We took a private tour to the DMZ on one trip. I believe it was through Hanwha Travel but there are many that do them. It will be a long day but worth it, IMHO. Feel free to email me at: pam@kevinkern.com if I can be of any help. Sorry but Google feels the need to list me as "Unknown". We have been to Seoul twice (spring 2011 and fall 2012), each time with a small baby in tow (both of our korean adoptions). While traveling for adoption is a different experience, we did get to enjoy and visit plenty of places over the two different weeks/trips. We enjoyed Gyeongbokgung Palace, mostly for the awesome architecture and colors. Cheonggyecheon Stream is AMAZING and works its way through the city, it's below the streets, beautifully urban landscaping, and a wonderful way to take a walking tour of the place. The metro is squeaky clean and easy to use. I second the umbrella stroller rec., it's what we used for both boys. If you're an adventurous eater, go have medicinal duck - it's amazing and a fun family-friendly experience and we've done it both times we were there. Gosh, how fun! What section of town are you staying in? Fee free to email me if you have anymore questions, Stefanie!